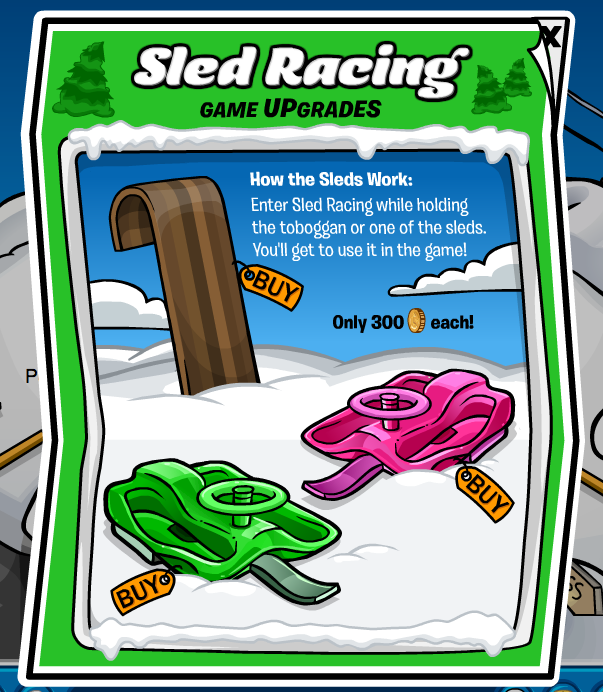 Club Penguin Sled Racing Upgrades Releases New Sleds! Plus Sled Movie! 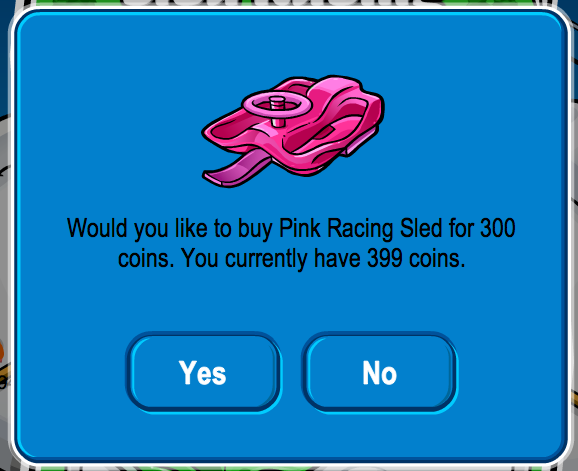 I was invited to play Sled rAcing with my friend when I noticed new sleds around! It is awesome! Check it out! You can get in Pink or Green! Sweet! 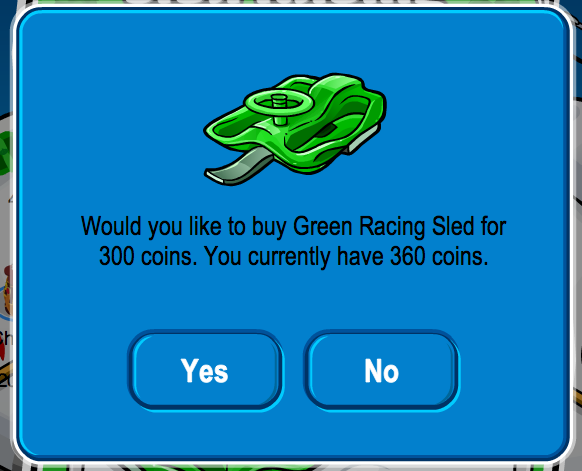 Only 300 Coins! 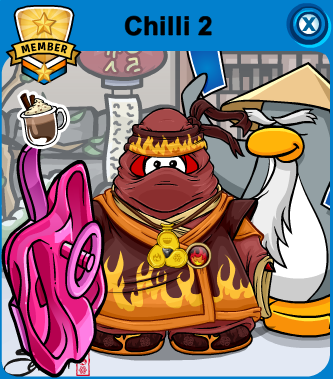 Here is how it looks like on Club Penguin and your Player Card! ← What Happened to the Dojo Card Jitsu Fire Decorations?